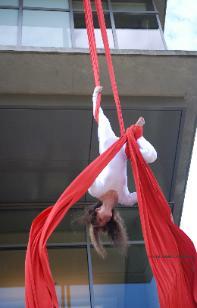 What type of Aerial Act would you like at your event? 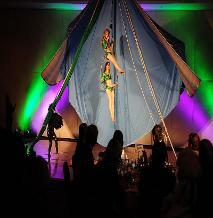 How many Aerial Act would you like at your event? Date and time of your event. Where is your proposed venue? there but you would have to do a site inspection. Yes and is has been certified to be used for a live load. 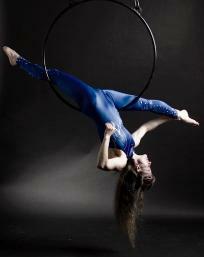 What is the distance from floor to rigging point? the area underneath our performance, where the audience will be etc. ladder that we can use or do we need to bring our own? No. Yes there is a ladder there and you can use it. have a scissor lift that we can use? but you can bring it in the building. Yes, they have a scissor lift and you can use it. 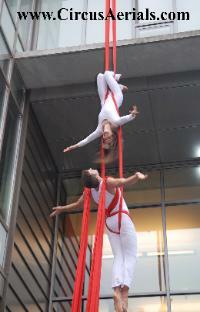 like us to choreograph our act to? it. Can you choreograph a piece for this song? You can use a piece of music that you have a routine to. Just freestyle to whatever is playing. You are background. Do you have a specific type of costume in mind? Any costumes are fine but let's talk about it. 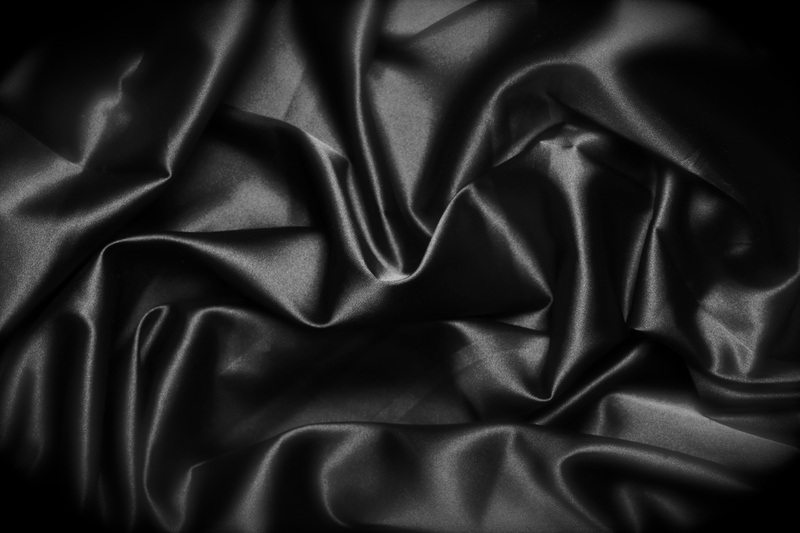 Specific colour of silk that you would like us to perform on? before the event takes place? What time will we be able to take the equipment down? able to use the ladder or scissor lift on-site to do so? Will the performance be before, during or after dinner? Other? Please tell us about the setting? 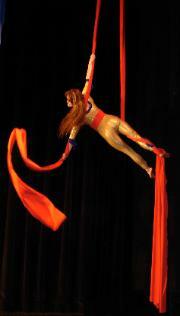 Enter any details that you think are pertinent or would like to discuss further such as silks colours or costumes. The more information, the more accurate your quote will be.